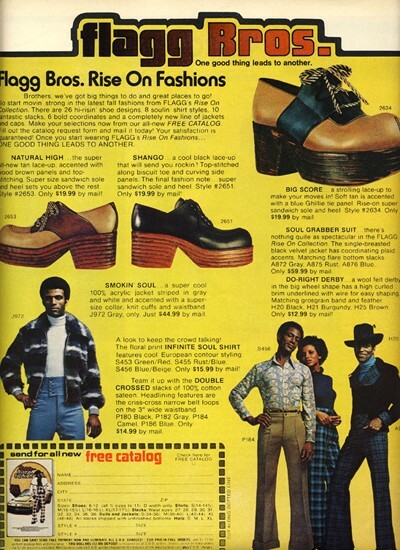 From somewhere in the 1970s, deep in the heart of Nashville, Tennessee, comes these ads for um, fashion. 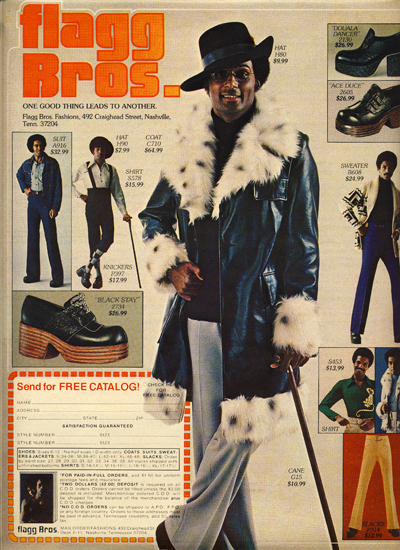 The erstwhile pimp could flow down the sidewalks in an ermine-trimmed coat, while perched on shoes that were more scaffold than “platform.” Let your freak Flagg fly, soul bruthas…. This entry was posted on August 22, 2012 at 7:34 am and is filed under General Interest. You can follow any responses to this entry through the RSS 2.0 feed. You can leave a response, or trackback from your own site.